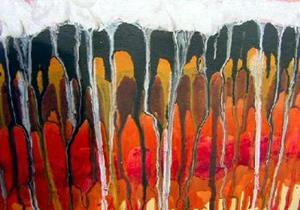 Large original abstract painted on canvas mounted on hardboard for added strength. Framing is not necessary unless desired. 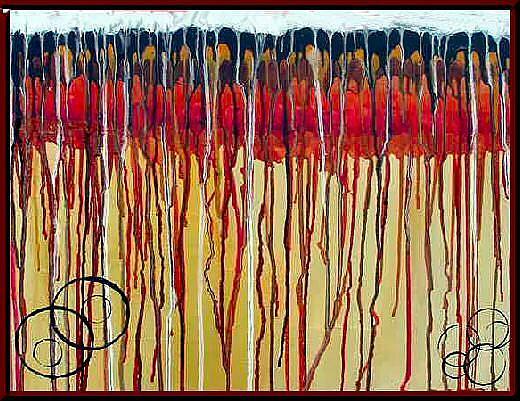 Tendrils is painted with fine acrylic paint, in layers that make the colors vibrant. At the top of the painting, the painted layer make a beautiful lacey pattern. This is a conversation piece that would grace and fine home. 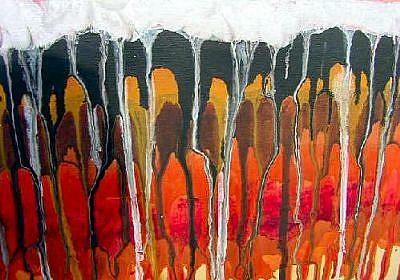 Painting is sealed with professional artist's non-yellowing varnish. Frame displayed on photo does not come with auction but to show what painting might look like if framed. As with any quality painting, it comes with a cerificate of authenticity that you can register as owner of the original painting.